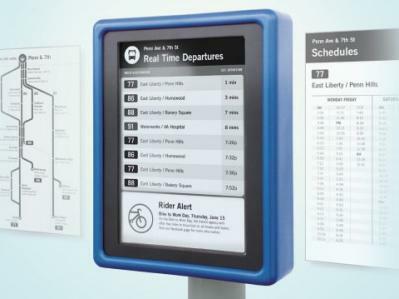 CHK America, a designer of public transportation customer information solution signed an agreement with E Ink to co-develop advanced digital wayfinding solutions utilizing E Ink technology. The first products to introduce are Digital Bus Stops (as you can see above). These provide easily-readable up dated bus stop schedule and work under all lighting conditions. CHK is also developing additional E Ink based products across various industry sectors including transit agencies and smart city developers.